NF (6301) - Hurdle remain same at 6334-6344 but above that upside target 6670 in between resist at 6413. In down side, below the hurdle, support exists at 6250 and after that 6192-6172. HINDOILEXP (282) - On 20 aug posted here, if close above 266 next short term target 360-380. yes after two months, on muharat day it closed above 266 and yesterday it moved higher and made a high of 286 so above 266, short term target intact. now in between resist at 297_304. HINDUNILVR (307) - Posted on 01 Nov. above 291 upside target 307 yesterday it reached the target and made a high of 309. Now what next ? If not move beyond 311, expect correction otherwise upmove continue to 320-323. 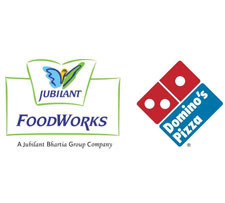 JUBLFOOD (623) - As posted on 04 nov . above 560, it already moved and nearing the target 650_680. It going to top out either 650-655 or 675-680 level. OPTOCIRCUI (306) - If trade and stays above 308 upmove to 326_336 and after that 370_375. RECLTD (378) - Above 375 upmove to 405_415 and after that next attack 440-444 & 468. In down side support exists at 360.